Apologies everyone for my long absence from posting in this blog! Last November we moved home. At the same time my wife was operated on for Brain Cancer, so kendo took a back seat. Thanks to great medical care and friend and family support I am continuing to enjoy life. I am still doing the job I enjoy and although I have given up on the big international engagements. I am still keeping up with many of my kendo commitments. In the last two weeks I have taught and practised in a kendo class in Spain, run a referee’s seminar in Spain been shinpan shunin at Sunday’s Londo Cup and aim to run the big Watchet Kendo seminar in the UKs Somerset at the end of this month, with the help of some great 7th and 6th dan teachers. Best of all my buddy of 40 years from Japan, Hayashi Kyozo, kyoshi, hachidan is coming to the UK at the beginning of June, so I am hoping to be fit enough to receive yet another beating. The one thing I do miss is my regular attendance at Mumeishi, either because of downsides in my chemotherapy cycle, or because the motorway from my home is permanently under repair at night and the journey home, causing me to break the curfew applied by my ever-caring wife. Still I try to get there when I can, and I am writing this now to congratulate and wish the best of luck to my colleagues, Yoshikawa Emiko sensei, who has been selected as a referee and to Sarfraz Aziz who will be fighting in this weekend’s European Championships in Budapest. Do it for the team guys! I miss seeing many of your sweaty faces and hearing your knowledgeable comments in this blog, but as big Arnie says “I’ll be back”. I’m very sorry to hear your news. Just wanted to say how much I appreciate your blog. I often send my dojo mates links to your posts when they ask me questions that I can’t answer fully. 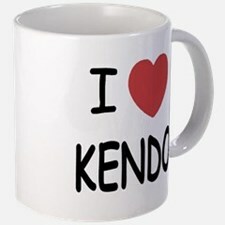 I think your understanding and love of kendo exemplifies the attitude we all aspire to. Salmon Sensei, wishing you a speedy and full recovery and all the best for you and your wife. Dear Geoff, indeed i was missing your blog , but now i understand and I hope that both yourself as your wife soon completely healed and hope to see you soon back. Keep the spirit high. A lot of health dear!!! Oh my goodness. I wish you and your wife the very best of health Sensei! Ah sensei very sorry to hear this news of health concerns but thank you for the update. You’re in my prayers! Kind regards and my best wishes! My thoughts are with you and your family and I wish you a speedy recovery. Sincere best wishes from the “musician”who fell off the “Kendo Wagon” sometime back! Hi Sensei, we all missed you!! Life goes on, but not same without you!! I know M3 is super awful but must not be permanent?! Take time to get better, sensei. We do not mind it at all, as long as you come back to us!! Mumeishi needs you!! Hope you get well soon ! I miss your articles. “There is something to be learned from a rainstorm. When meeting with a sudden shower, you try not to get wet and run quickly along the road. But doing such things as passing under the eaves of houses, you still get wet. When you are resolved from the beginning, you will not be perplexed, though you will still get the same soaking. This understanding extends to everything.” Tsunetomo Yamamoto-sensei, Hagakure: The Book of the Samurai. Dear Geoff-sensei; may this whole affair be one more fence to jump over and leave behind. My wife and I are sending you and your wife our good vibes, wishing you guys the best. I have moved back to the US after three years in France. I am now training with David YANG-sensei (Philadelphia, PA, USA) and getting ready for my next shinsa. all the best for your recovery and that of your wife Geoff Sensei. I’ve been worried for some time, seeing your (very sound) advice about (my?) fumikomi remaining the only piece of writing for months. I’ve been sorry to read the news concerning you health and your wife’s. I hope you get well soon, and we can still benefit from your strong and illuminating views on our beloved budo. All thoughts to you and yours. Geoff, chin up and all that. Hope you are both doing well. Geoff, I was saddened by your news and have taken all this time to leave a posting. You have been / remain an inspiration to me (and my son). Both of us as part of the Dublin Kendo group. As an oncologist I understand part of whatbyoubare going through. Kendo has helped me help manage those with cancer and I hope that your experience with Kendo will support you and your wife through this part of your lives. I look forward to seeing you on your next visit to Dublin. My thoughts and best wishes are with you. Oscar (and the rest of the Irish Kendoka). Thank you for your kind thoughts. A Japanese kendo friend gave me some good advice by suggesting that I put myself in the hands of my oncologist and let him worry about the outcome. In the meantime I have recently taught and officiated at a number of kendo events and tried to generally get on on with life. I even took myself for a kayak trip on Sunday after a 50 year break. You may have noticed that I have stopped regularly writing my blog. That’s simply because I don’t want to write yet another cancer newsletter. There are enough of those around. Instead I intend to make the most of the craic that comes my way and once I have gotten over a few side effects, to try to get some more keiko in. Your comment meant a lot to me and I will do my best to live up to the expectations of my kendo buddies. Give my best wishes to the Irish kendo group. Geoff sensei, I was most distressed to read of this. I seem to be one of the lucky ones and I’m in my fourth year of being cancer free after being diagnosed with stage 4 colon. I only mention this to assure that it can be done. It is a long and arduous journey, and I can only offer you and your wife my continue best wishes. Thank you for your comment. I am encouraged by your experience. I had a few unfortunate side effects with my early chemo, but seem to be in a more positive regime now. It’s frustrating not to be able to do keiko, but I am getting to the dojo twice a week and coaching from the sidelines and I get to enjoy the occasional glass of wine whilst the guys have there much needed post-keiko beer. I am still working for 3 days a week and with commitments for Mumeishi dojo and the BKA I am leading a fulfilling life, so I also consider myself one of the lucky ones. My wife seems to have lots going on, so it’s difficult to find a slot in her diary, but apart from the occasional steroid clash. We seem to be in a good position to encourage each other. Again thanks for your kind thoughts. You were never my sensei nor (probably) ever will be but i miss your post and “pearls of kendo wisdom” like if it was. Translated so much of your articles during this years and miss seeing your posts on monday morning. It’s been a long time without receiving your inspiring posts. I hope your health is well. I hope you remember me, Kaz Oishi, a chap practising Kendo at Oxford 15-20 years ago. My apologies for a long silence. I haven’t practised Kendo for ten years due to my work load &c. I restarted keiko January and also have returned to UK briefly for two months. I was thinking of going to Mueishi while I’m here, and trying to find out how you are. Then I spotted this blog. I am deeply sorry to hear of your illness, and am wondering how you are. It is so like you to have a good sense of humour as well as perseverance in the circumstances like this. I hope you’ve been bashing out your cancer and that we’ll have a chance to meet.